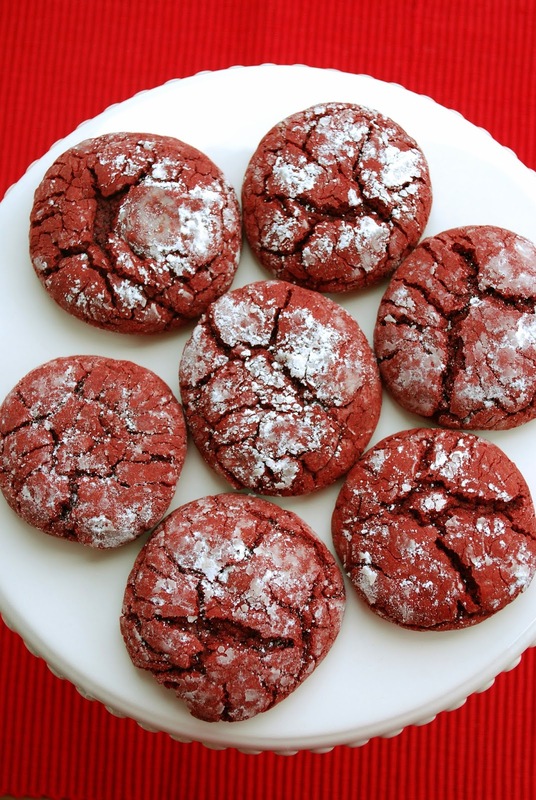 Cookies made from boxed cake mix are soft, delicious, and most importantly, quick and easy. 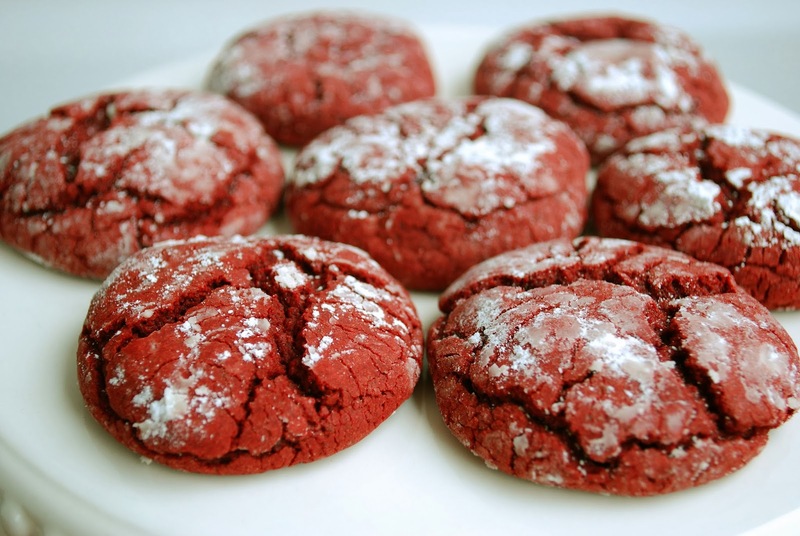 I used red velvet cake mix to make these, obviously. Again, these cookies are so easy. Just pick any flavor of cake mix, add the few ingredients it takes, bake them up, and in no time you have wonderful cookies that others will think you spent almost all day in the kitchen baking. Also, check out these red velvet sandwich cookies I made using cake mix. Both cookies would be a perfect Valentine's Day treat. Preheat oven to 375 degrees. Melt the butter and set aside to cool. Place powdered sugar and cornstarch in a shallow dish, mix with a fork until blended and set aside. Place the cake mix, cooled butter, eggs and the lemon zest in a large mixing bowl. Mix by hand until well blended and a dough forms. Form the dough into 1-inch balls and roll in powdered sugar/cornstarch mixture. Place on a cool, un-greased baking sheet about 2 inches apart. (I used a silicone baking mat lined baking sheet and it worked just fine). Bake in the center of the oven for 9-11 minutes or until cookies are set. Cool for 1 minute and then transfer to a wire rack to cool completely. Store the cookies in an airtight container with wax paper or parchment paper separating layers. This recipe made right at 2 dozen cookies for me. Yum! You know I love me some cookies made with cake mix! I need to get out more - I've never made cake mix cookies! Shannon, these look incredible - that perfect soft and chewy texture all cookies must have. And I don't even have to mess with special ingredients like cream cheese or cornstarch! I am really curious about how the powdered sugar and cake mix taste together - yum!